 Iran, Nov. 11, 2018 - Setting fire to images of senior Iranian regime officials has been seen on a wide scale by members of the Iranian opposition People's Mojahedin Organization of Iran (PMOI/MEK) resistance units members in numerous cities. This is yet another sign of Iranian youths responding to calls for more protests across the country. Members of Resistance Unit 905 in Tehran set fire to a large billboard containing images of Iranian regime founder Khomeini and Supreme Leader Ali Khamenei. In Sari, members of a resistance unit also set blaze to a Khamenei poster. Members of resistance units associated to the Iranian opposition People's Mojahedin Organization of Iran (PMOI/MEK) are expanding their activities in cities across Iran following a recent message delivered by Iranian opposition leader Massoud Rajavi. “These days, an industry of concocting phony alternatives has become prevalent in the political arena, of course copying and pasting aspects from others. And this in itself is another sign of the phase of the regime’s overthrow. But the crux of the matter is how they are going to actually bring down this regime in practice. This question is especially relevant as the blood of the martyrs has permanently and historically blocked the path to reform within the clerical regime and the return of the monarchy.